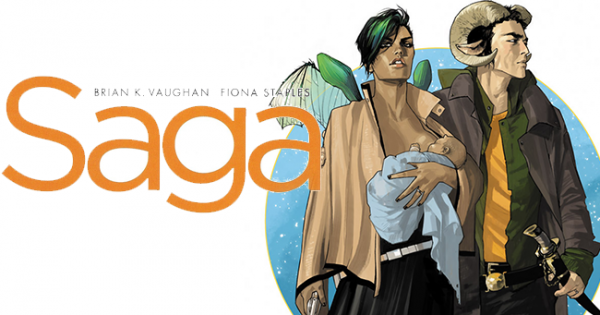 Adafruit’s comic reading list: Saga by Brian K Vaughan and Fiona Staples #adafruitcomics « Adafruit Industries – Makers, hackers, artists, designers and engineers! 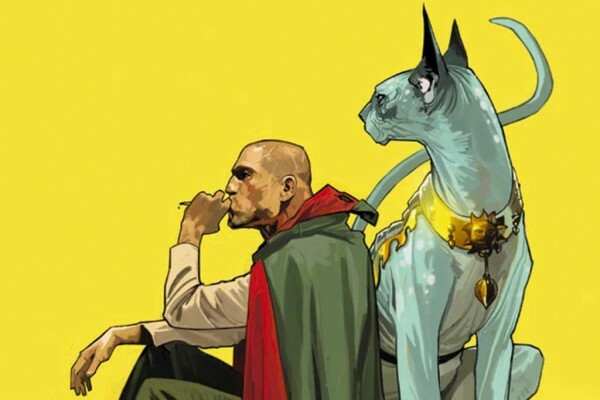 A new edition of Adafruit’s comic reading list — this week it’s Saga by Brian K. Vaughan and Fiona Staples, recommended by Alicia from fab! 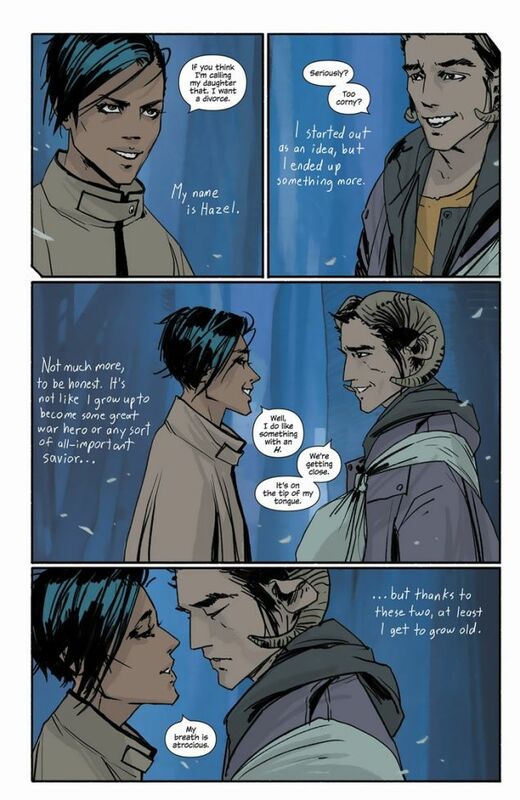 Saga is an Eisner award winning series drawn by Fiona Staples and written by Brian K Vaughan. It takes place in space, during an intergalactic war between a planet, Landfall, and it’s moon, Wreath. This war has gone on forever and at this point has dragged in basically every other surrounding planet. 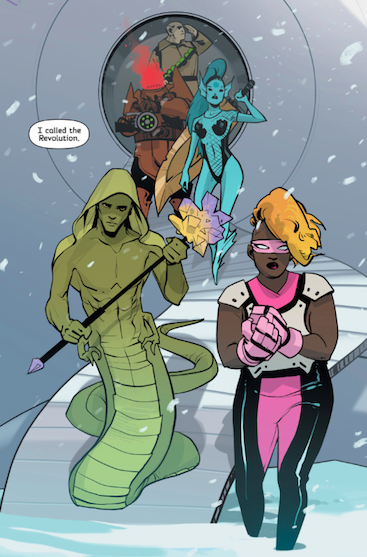 At it’s heart, it’s about the relationship between Alana, who is from Landfall and Marko, who is from Wreath and their newborn baby, Hazel while they are on the run from everyone from bounty hunters, exiled robot princes, and ex fiancees. It’s often described as Romeo and Juliet in Space and while it does have tinges of doomed romance up against warring sides of a major feud, it really is about so much more than their little family. There are no straight up bad guys in the comic, which is really interesting considering that war plays such a major part of it. 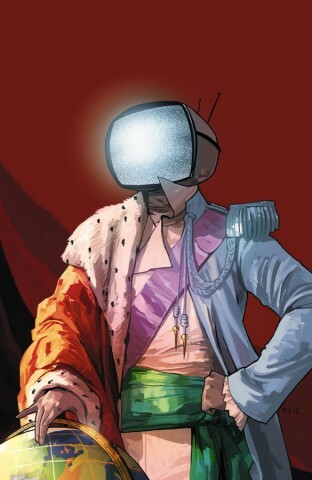 But Saga does an amazing job of is making every character and their individual goals really compelling and you find yourself really wanting everyone to succeed, but because they’re all tied into the same thing if one were to succeed it would be at the expense of these other characters you also care about. On top of a brilliantly crafted, if not completely heartbreaking at times plot, the world that Staples and Vaughan made really sells it. Yes it is rooted in the Sci-Fi genre in a lot of ways, but it really doesn’t look or feel like a lot of classic Sci-Fi. For starters, the two warring planets? Landfall is populated with fairies- yes Alana has wings and Wreath? Wreath’s denizens bear a strong resemblance to Satyrs.There is a race of robot people, but even they feel much more organic than technical. Just a warning, this comic doesn’t shy away from violence or dealing with some really tough subjects, while it is really excellent I would not recommend this for younger readers. Check out our previous posts Bee and the Puppycat, Spacetrawler, Grrl Power, Krazy Kat, She-Hulk, King City, The Whiteboard, Hubris, Akira, and The Wicked and the Divine!